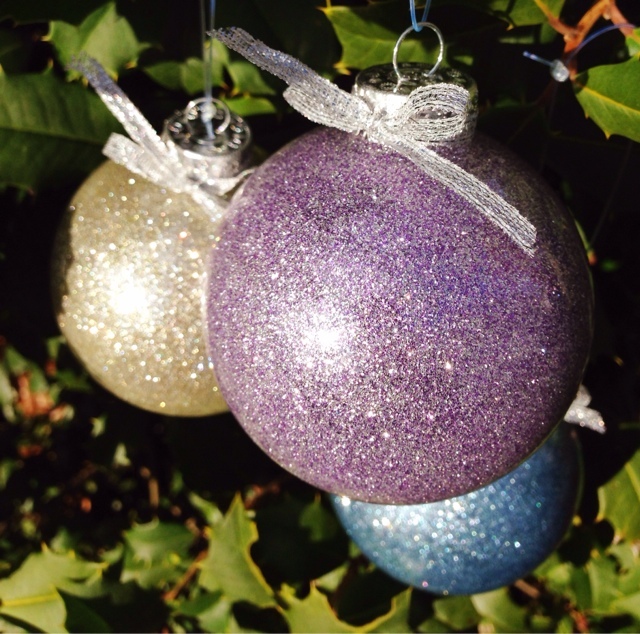 This year I really wanted to make one of those glitter ball ornaments that I've seen on so many holiday DIY craft sites. It seemed easy enough. The directions call for pledge future shine floor polish swirled inside the ornament. Then all you do is add glitter. Well I came into a giant obstacle. They no longer make future Floor shine with pledge!!! I thought maybe I could come up with something else. 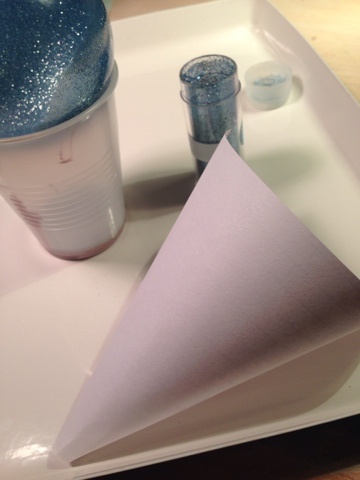 Why not just use glitter paint. Well to save anyone reading this a lot of trouble; it doesn't work. The consistency of the paint is too thick and it runs out the bottom of the ball. What a disaster. 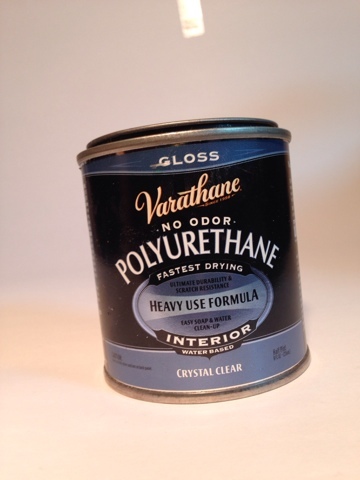 I came across a new method which called for using polyurethane protective gloss. 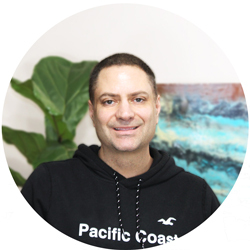 It's super easy and it works really well. Follow the easy steps below and you can make this. What's even better is you can choose the colors to match your individual style. Try different color schemes from browns to pinks to blues. Add about a tablespoon of polyurethane and swirl it around inside of the ornament. Empty the remaining back into the container. 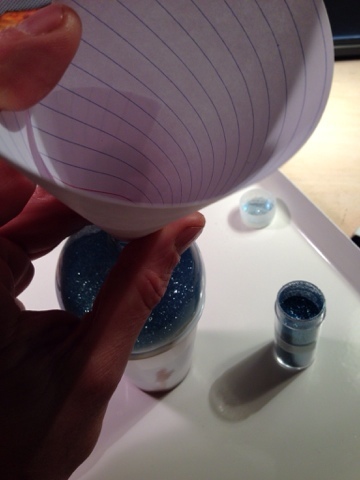 Position your ball on top of the plastic cup and make a funnel out of paper. 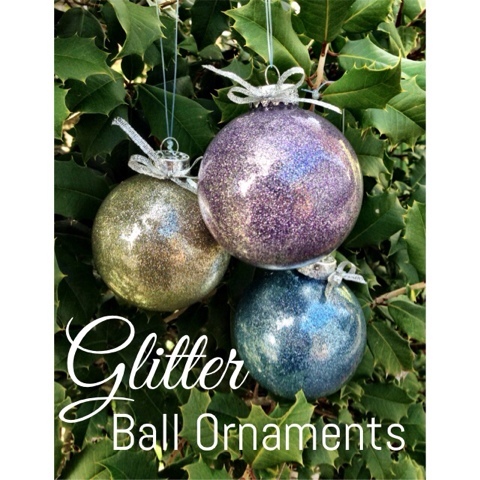 And enough glitter to coat the inside of the ornament as you spin the ornament to get an even coating. 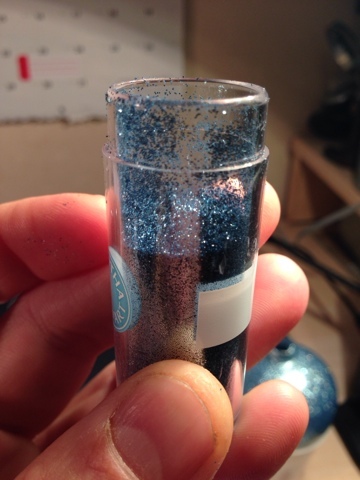 Empty the remaining glitter back into the container. That's it you're done. All you need to do is set it aside and let it dry.